The Proteas will play again on Thursday. That is when they will meet Pakistan in Durban. Sahara Stadium Kingsmead will host the fourth of five one-day internationals on 21 March. South Africa won the third ODI by 34 runs yesterday. 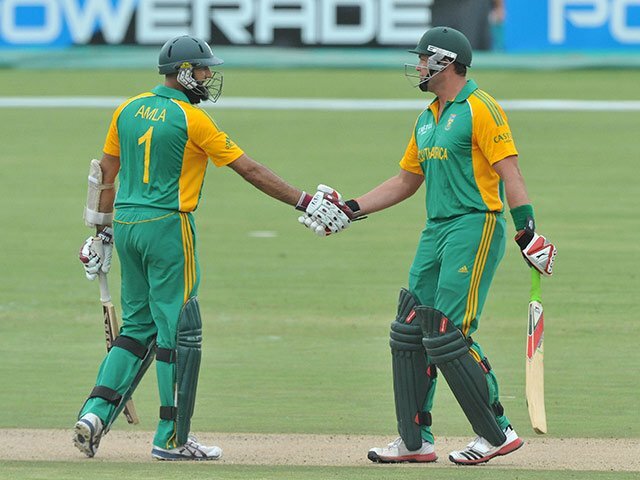 Hashim Amla and AB de Villiers both hit centuries in Centurion. The Sunfoil Dolphins will see action in Centurion on Friday. They have a Ram Slam T20 date with the Nashua Titans at Supersport Park.